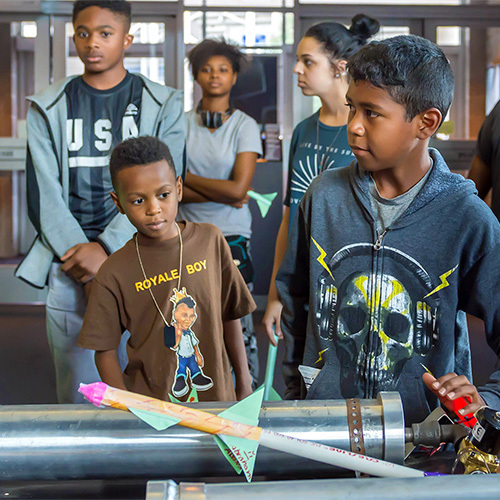 Did you know the Cosmosphere offers aerospace camp programs for school groups during the school year? School groups that experience Cosmosphere Camp programs come back year after year. Subject matter includes space history, astronaut training, simulated space missions, flight, rocketry, robotics, scuba diving and much more. Whether it’s an overnight stay or a full five-day camp, a camp experience can be customized to meet your needs and budget.